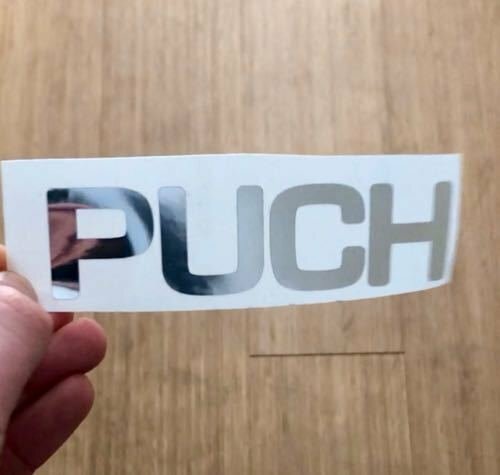 High quality sticker perfect to put on your Puch frame, helmet, headlight and many more. Easy to use, sticks very long and the perfect way to make you Puch great again! If applied properly, the sticker will last for 3 - 4 years. Prices for regular post only (others shipment methods only on demand). We have calculated the shipment prices by the amounts of stickers bought.